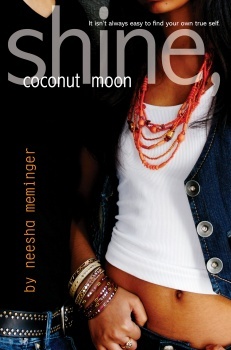 Yesterday was the official release date for Neesha Meminger‘s latest novel, Jazz in Love. It’s been getting RAVE reviews all over the blogosphere—check out Lyn Miller-Lachmann’s review at readergirlz, Ari’s take at Reading in Color, and The Rejectionist has only praise to offer as well. So what are you waiting for?! You can find a list of booksellers that carry Jazz here. And don’t forget to enter Edi’s giveaway to win your own copy of Jazz in Love. Busy as she is, Neesha graciously agreed to answer a few questions about the publishing process. Q: You named your new imprint “Ignite,” which suggests this is the start of something big! Can you tell us about your decision to self-publish–did you have reservations, and what are some of the risks and/or rewards? A: Yes! I love the word “ignite,” don’t you? I won’t say it was an easy decision to put JAZZ IN LOVE out on my own. I’d been mulling it over (as you know) for at least a year or so, going back and forth. When it became clear that JAZZ would not make it into the world unless I put it out there, I decided to stop waiting. So far, it has been exhausting (because I do everything myself), fun (because I have more control), humbling (because of all the warmth and support I’ve received from readers, friends, teachers, librarians, bloggers and the kidlit/YA community at large), revealing (because I would never know about this step in the creative/growth process if I hadn’t taken this leap), and extremely rewarding (because my readers–the reason I decided to put JAZZ out on my own to begin with–now have access to another novel – something I would still be waiting for if I had not taken this step. There are lots of upsides and downsides to being both published with a large house and going it on my own, and I’ve enjoyed both experiences in different ways. Not sure how I’ll move forward after this, but for now, the exchange between author and reader can continue without being blocked, or left to wither on the vine. It’s the exchange of ideas that’s important to me; putting a work out and then participating in dialogue around it, seeing people reflect on their experiences in a new light, reframing things…this is what’s rewarding, and what would have remained stalled had I continued to wait. The creative process needs to continue its flow in order to survive, and I was feeling all the creative energy within begin to wane. It’s hard (at least for me) to continue to produce creative work without that feedback loop that’s so important to creative expression. And I think that was what gave me the final push that I needed – that need to connect with my readers and complete a creative cycle. Q: In a guest post for The Rejectionist, you discussed the changes in the publishing industry. You’ve also written extensively about the need for greater equity when it comes to marginalized voices. When you look into the future, what do you see for yourself as an author/publisher and what does the literary landscape look like? A: This is a good question, and it’s one I think a lot of publishers and authors are asking. The landscape is shifting and changing at such a rapid pace that everyone is stumbling along, trying to keep up. 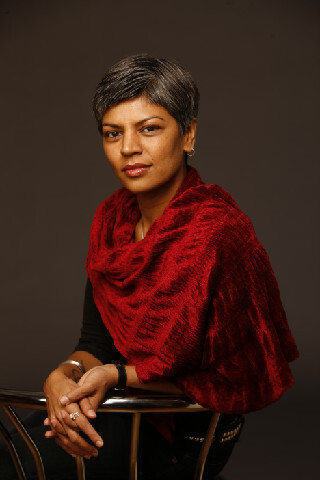 My hope is that the changes will help level the playing field somewhat, that access to resources will allow new voices to emerge and empower authors to take more control over their voices and expressions. More and more quality work is coming out in ebook form and through independently published authors, more readers are buying e-readers like the Kindle, the iPad, and many people are reading books on their handheld devices now. It’s an *entirely* different reading landscape than when I sold my first book. At that time, we didn’t even think to fight for ebook rights. But we’re not just looking at paperback vs. hardcover anymore. We’re now dealing with things like DRM, digital rights, and audiobooks in addition to print. In the past, authors self-published because their work was seen to have no readership – this translates, of course, to their work being of lesser value. W.E.B. Dubois, Terry McMillan, Tyler Perry, Virginia Woolf . . . all these authors self-published at some point in their careers because no one believed their work would sell, in other words, that no one would want to buy it. Who is this “no one,” then? Women initially self-published in an industry controlled and dominated by men because women’s writing was seen as being too “emotional” by the mostly-male publishers at the time. Again, the perception was that “no one” would want to read such emotional, insubstantial work. The issue is simply that there are certain markets that have never been noticed, acknowledged, or recognized. One of those markets is South Asian teens, and I happen to know it quite well. But if all my books were marketed only to the narrowly-defined markets some publishers are aware of, the books, of course, would perform poorly. It’s not the right market for *these* books. It’s like the “flesh-coloured bandage.” So many publishers use the one-market-demographic-fits-all approach to give books a push. But when authors who know their audience go out and speak directly *to* that audience, there is a rapport. And *that*, to me, is the entire purpose of what I do. I liken it a lot to independent film and music. (The artist formerly known as) Prince was a real inspiration for me when I was younger, because he produced his own first album. No one wanted to touch his music because he was doing stuff that was unusual, innovative, that hadn’t been done, and he didn’t fit neatly into any predefined niche. So, he just did it on his own. I remember when I first heard that story and, not fully understanding it, admired his chutzpah anyway. But that story is so common in film and music because there are established resources and outlets for independent artists. I think what we’re about to see is the de-stigmatization of independent authorship. And that, to me, is very exciting. Q: You show real daring in Jazz in Love, specifically around issues of sexuality. Now that YOU are calling the shots as editor-in-chief, do you find you’re more emboldened/empowered to take risks? A: It was definitely very different this time around when final say rested on my shoulders. I still struggled with the internal editor in my head, and I did do a round of revisions with an editor, but ultimately, I made the final decision on what would go into the book, what the cover would look like, what the interior design and layout would be. I also knew exactly where review copies would be sent, if and where I submitted to certain awards, which formats I wanted the book released in. And now I know exactly how many copies have sold in each format. I can also make changes if I want to, at any point in the process. The biggest risk, I would say, has been to write a book that was funny, light (mostly) with romance elements that placed characters of colour at its center, without apology or explanation. I felt very strongly about this. I wanted to write a book that teens could read and enjoy, without worrying incessantly about earning out an advance, without having such a focus on needing to make sales–without that pressure of knowing that if this book didn’t sell well I might not get another book deal (and even if it *did* sell well, there would be no guarantee). I wanted to think only about my readers and the story I wanted to share with them – the teens who needed to see themselves as they are on an everyday basis. Struggling with racism and misogyny and the socio-economic scaffolding of their lives, but also just being teens and navigating the landmine territory that comes with adolescence. It has been an empowering process that has left me with even less sleep hours than I’m used to (and I was already sleep-deprived! ), but I’ve loved every minute of it. I’m looking forward to whatever the next adventure will be on this roller coaster of a ride :). love the flesh-coloured bandage analogy. thanks, zetta, great interview. neesha so clearly puts her readers first, and that brings a beauty and authenticity to her work. looking forward to all that she and ignite share! Wow! Great interview! Really made me think. And made me want to read Jazz In Love. Oh gosh, if I could have an ounce of the eloquence, brains and chutzpah of Neesha and Zetta, I would be happy! Great interview Zetta and Neesha! I’m excited to read “Jazz in Love” – just bought it today! YAY for Xmas gift cards!